It’s been a while since I posted about what’s been going on this side of the equator so I’m going to touch upon the highlights of the last two weeks (there are many!). *Training is a ten week program broken down by activities and sessions into week-by-week schedules. July 4th landed smack dab in the middle of week 4, meaning pre-bbq excitement dominated the first half of the week and post-bbq ‘that was so fun’ commentary dominated the second half. I was beyond excited to spend the day outdoors, playing field day games and then enjoying hamburgers, hot dogs and other dishes prepared by 19-ers. For me, it was a bittersweet experience to celebrate America’s independence outside of the country as a Peace Corps trainee. Back home I never thought about what it means to be an American or a Colombian-American, I just am. In Miami when someone says “where are you from?” I just say “Colombia” because it’s understood that I was born there, but I grew up in the States. When I studied abroad in Paris, it became a little more complicated because Parisians would ask where I was from and then I’d have to say “I was born in Colombia but I grew up in the US, blah blah blah” and that was generally understood without too much effort. In Peru, the stereotype of Americans is that they all have blonde hair and blue eyes, of which I have neither, so it takes some time to explain how I can be American and not be a “gringa”. That alone makes you reflect on what it means to be a citizen of the US. If its not my hair, or my eyes, or even my place of birth, then what makes me American? Well, my naturalization certificate and that navy blue passport, for one. But the other is the ideals and values we hold dear that make our country great. Like life, liberty and the pursuit of happiness (!) Those are the things we are sent here to represent, as we help communities capitalize on their own strengths to be self-sufficient. In a nutshell, July 4th was the culmination of an ongoing patriotic identity crisis, but still, so fun! I had lots of burgers and got sick the next day. Worth it, though. gals ready for the games! I thought the biggest thing about week 5 would be that it’s before week 6, when we go on a 7-day trip to do field-based training. But I was wrong! Week 5 brought quite a bit of excitement all on it’s own. For starters, we found out our regional assignments which is a pretty big deal. Peru is divided in three geographical regions: coast, sierra and jungle. The physical division of the country by topographical factors has a significant influence on the development of culture. The coast tends to have larger cities with more progressive populations while the sierra is known for smaller communities and more rural areas. I don’t know too much about the jungle because there are no Peace Corps sites there. Just imagine a place thats hot, humid and wild animals roaming free. Peru 19 has interviews with several staff members regarding which region and site would be a better fit for each volunteer. They ask you questions like ‘what kind of projects are you interested in’ and ‘would you work better in hot or cold weather’. Throughout my interviews I tried to mention that I am much better in the heat than I am in the cold, so I was pleasantly surprised to hear that I’d be in a coastal region! On Thursday we were finally issued our official Peace Corps phones. That was also a long-awaited event. Before receiving phones, trainees would make incredibly detailed plans to hang out in hopes of actually being able to meet up without getting lost or mixing up directions. Now we can call and text without having to walk over to each others houses and ask host families ‘sabes donde esta kendra?‘ This tiny Nokia brick phone (that feels like it belongs more in a Barbie playset than in my purse) is making all of our lives just a little bit easier! Up to week 5, youth development volunteers have planned 3 different 45-minute sessions to teach at local schools. The third one was done individually, meaning that from the planning phase to execution, it was all put together by yours truly. I am happy to say that my sessions have all gone surprisingly well, meaning that most of the time they were listening to me and not once did I have a class break out into mass chaos! I blast my favorite Jay-Z jams while writing lesson plans, so I think the swagger transfers to the sessions. 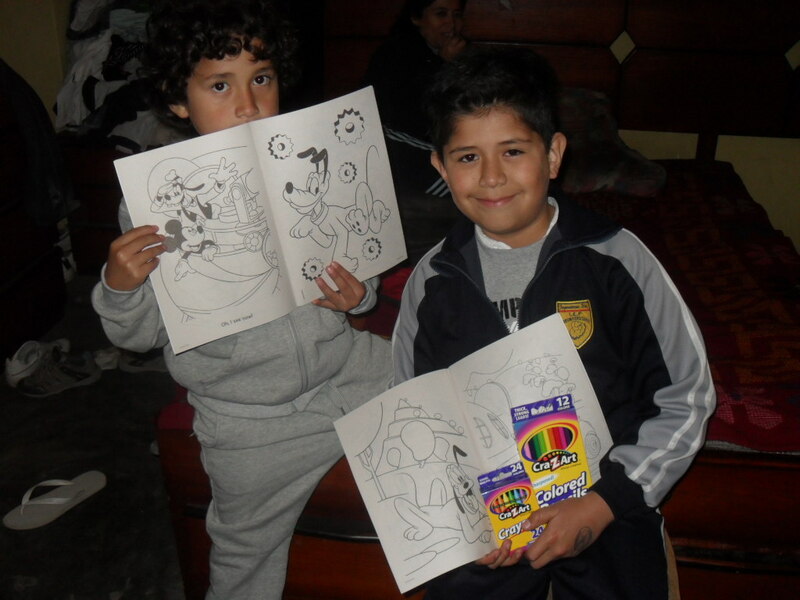 Nancy sent Arturo and Efrain some gifts from the States and they are over the moon with excitement. Here they are, happily showing off their new presents! 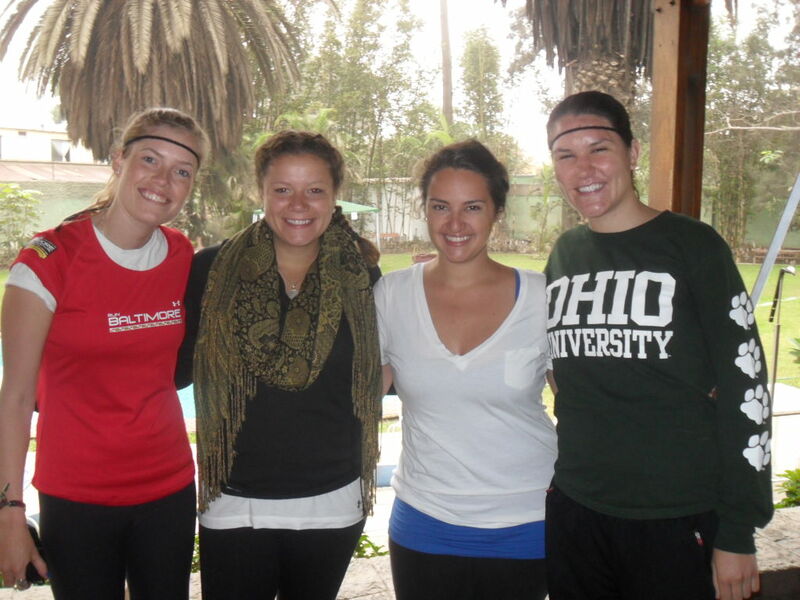 Evan Frazier, a Peace Corps Volunteer Coordinator, shared this article with us last week. It came out in the newspaper on July 4th. I’ve had conversations with other trainees about how lucky we are to have been sent here. We have an incredible staff that trains us to work in communities eagerly expecting us. The Peace Corps enjoys a positive reputation in Peru, where Americans are well-received and respected, ultimately making our efforts fruitful and our experiences memorable. 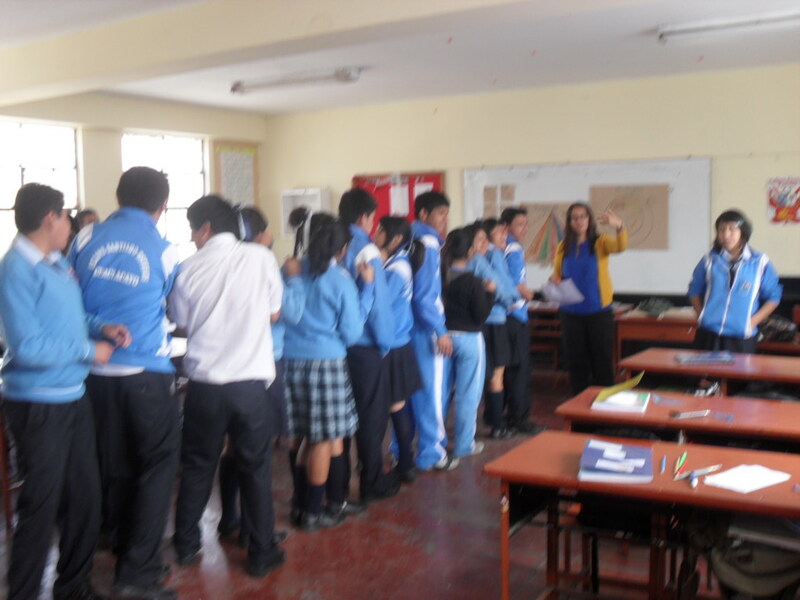 Teaching at San Vicente: Wednesday, June 20th, the youth development volunteers were split into groups of 3 and asked to facilitate two activities (one about self-esteem and the other about sexual health) at a local high school. Emily, Connor and myself did a fantastic job! Word on the playground was that students were supposed to have a test but instead some Americans came to do activities, so that might have something to do with their angelic behavior–but who cares. I’ll take it! Heat Win It All! : As I mentioned before, I have ESPN! I made sure to mention this to my fellow trainees. Often. For Game 5, several trainees in my neighborhood came over to watch. All of them hate the Heat but had a good time watching me get excited when it was obvious we’d be winning the championship. It was funny watching the game from another continent, when I’m usually about 20 minutes from the arena. Anyway, Go HEAT!! Lima: That Saturday the whole group headed to Lima in two buses. It was so nice to walk around and see some of the historical areas of Peru, including Ollanta Humaya’s house (hey prezz!) It was exceptionally wonderful to have a little “Gator Nation really IS everywhere” moment. We were heading towards Larco Mar (a little slice of American-style shopping/dining overlooking the ocean) when I spotted a tall white guy wearing a GATOR RUGBY shirt walking towards me. Could it be?! I let out an excited “go gators! !” and he replied “go gators”. You can just imagine how magical it was. 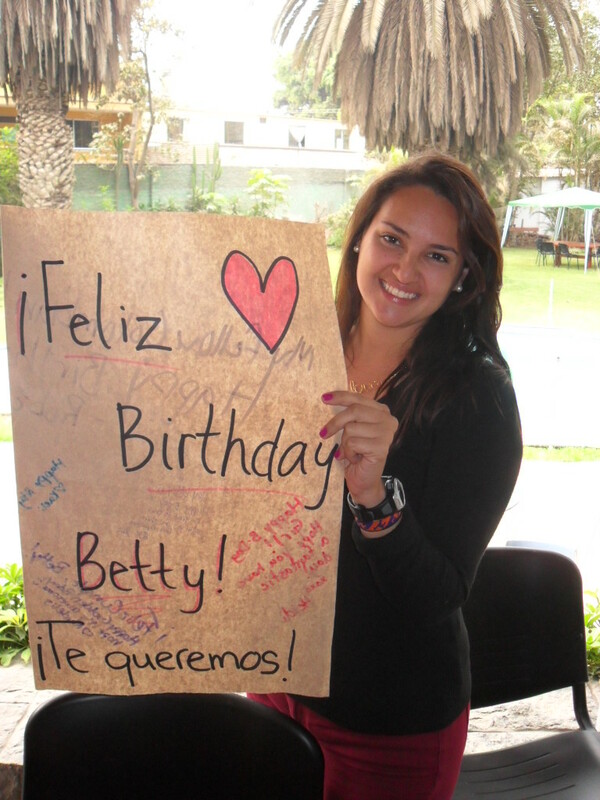 The Big 2-5: I never thought I’d be spending my golden birthday as a PC trainee in Peru, but that was the case! 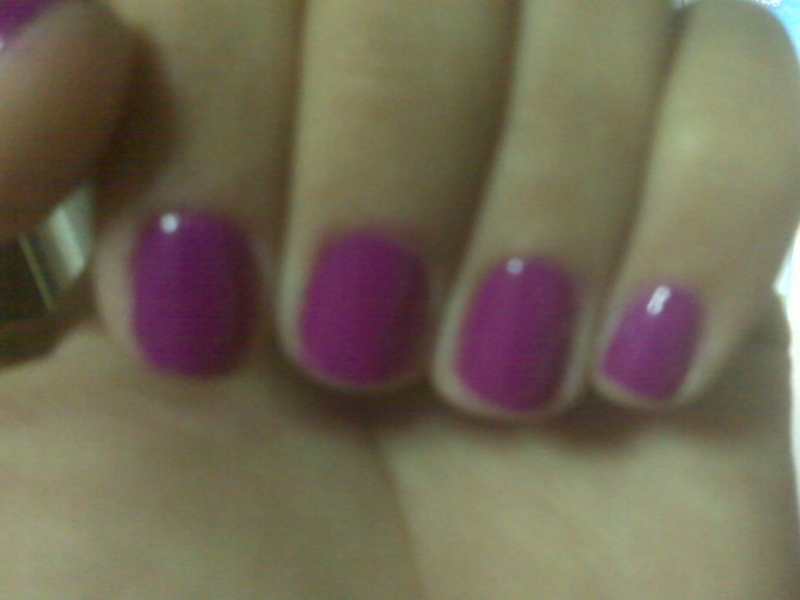 On Sunday, the day before my birthday, I set time aside do my nails while listening to music in my room. I dont care if I’m in Miami, Peru or outer space…my nails will look good on June 25. Sunday afternoon my host family and I went to two different food festivals, one right above my house and the other about 45 minutes away. At night I spoke to my mom and dad and went to bed early because — well, I’m 25 and tire easily. Isabel, our language facilitator, gave us Monday morning off and I took it as her special way of saying “happy birthday, go ahead and sleep in.” Afterwards, I went for a quick jog around Yanacoto. I showered (the water pipes didnt give a damn it was my birthday, water was still cold as hell) and headed to the training center for our afternoon sessions. 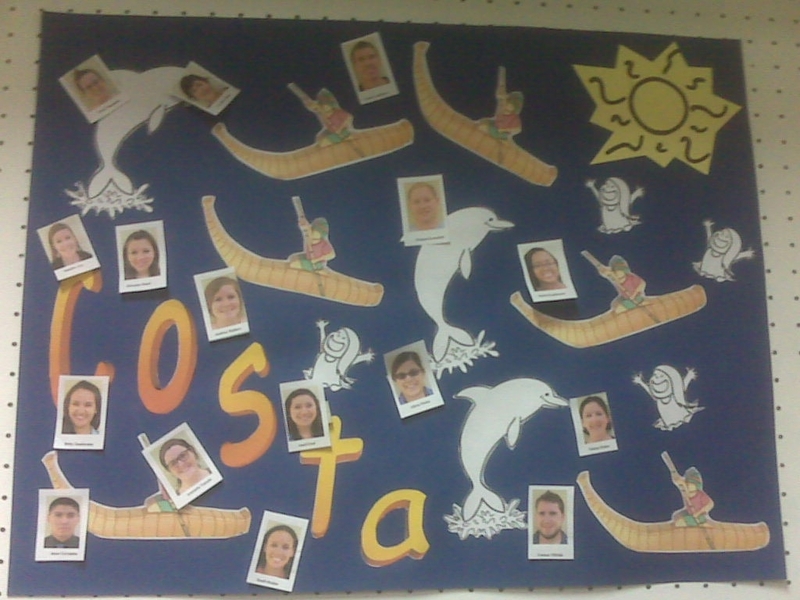 My fellow 19-ers were, of course, wonderful and wishing me a great day as soon as I arrived. The best part came during a presentation we were having that afternoon. I was focused on taking notes on the material so I didnt notice Isabel walking in with a slice of chocolate cake, candles and a giant birthday card. They dimmed the lights and the whole room sang ‘Happy Birthday’. I was pleasantly shocked and grateful to everyone for planning such a cute surprise!! Also, we have a trainee e-board type of group that presides over weekly general assembly meetings and I was elected secretary. Im really excited for the 4th of July bbq/picnic we’re planning at the training center. Burgers!